Emperor Haile Selassie had a twofold diagnosis as to why his predecessors’ efforts to curb or end slavery had failed: a combination of failure to put in place enforcement mechanisms to accompany numerous laws issued over the years, and the enormity of the problem due to the fact that slavery was “deeply rooted in tradition” (Haille Sellassie, Vol. I, p. 80; Vol. II, P. 175). He was convinced that “it was impossible to uproot such an ancient institution simply by writing laws.” He also feared that a sudden end to slavery would create an influx of a large underclass with no means to support itself; that would have created two million destitute people overnight (Pankhurst, 1968, p. 118; Comyn-Platt p. 164). Thus, his was going to be a deliberate process including substantive laws and tough enforcement mechanisms that would gradually put the institution of slavery out of commission. 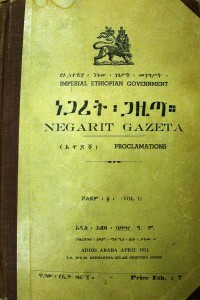 The most serious laws marking the beginning of the end for the institution of slavery in Ethiopia came in the 1920’s. It is true that by that time, Ethiopia had little choice but to effectively tackle the slavery problem, which had remained endemic. By 1922, Ethiopia had come under unrelenting pressure to end slavery from western news-mediaparticularly the British press as well as anti-slavery groups such as the Anti-Slavery and Aborigines Protection Society. That wasn’t all. Ethiopia also needed to show results in its fight to end slavery so as to deny European powers an excuse they could use to take it over, particularly Britain, France and Italy, whose colonies at the time surrounded it. After all, that was the motive (p. 603) behind the 1906 tripartite treaty signed among these countries (Comyn-Platt p. 177). This was particularly true for Britain, whose opposition to slavery in Ethiopia was “based primarily on imperialist and strategic designs,” and Italy, which in addition to its territorial desires, was also itching for a payback for the thorough defeat it suffered in the hands of the Ethiopians in 1896 in the battle of Adwa. More importantly though, Ethiopia had to start taking concrete measures to end slavery because it was one of the conditions for its admission to the League of Nations, a club of “civilized nations,” in September 1923 (Encyclpaedia Aethiopica p. 681; Comyn-Platt p. 164). As part of this arrangement, Ethiopia was required to phase out slavery over ten years period at the end of which it had to abolish it completely (Comyn-Platt p. 164). Fortunately, these continued pressures from outside coincided with suitable local conditions in which slavery had become less economically tenable and unfashionable due to the “changing life style of the ruling class,” making the task feasible if not easy (Zewde P. 94). Although Emperor Haile Selassie had already taken various measures to enforce existing anti-slavery laws, the first in a series of legislation issued during his reign came on September 23, 1923. 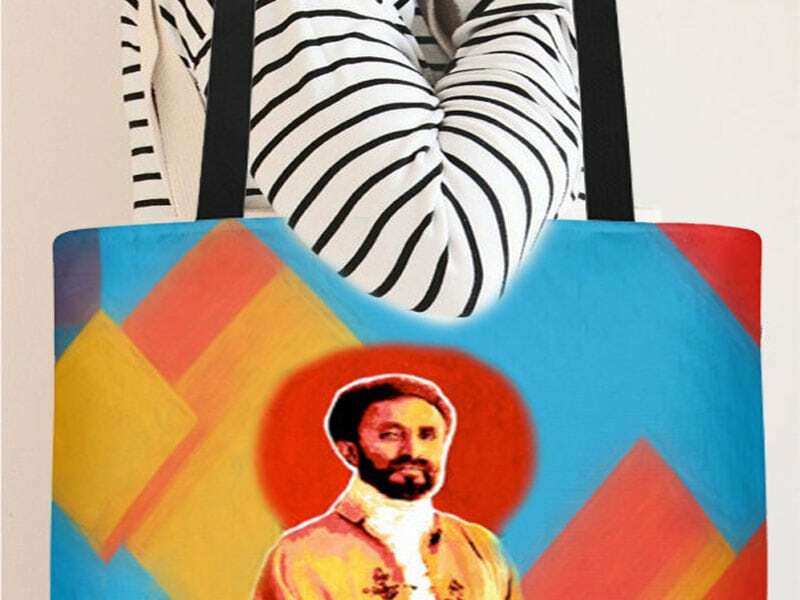 The Emperor, then Ras Teferi, issued a proclamation outlawing slave raiding and imposing a duty on administrators to enforce the proclamation under the penalty of the law (Pankhurst, 1968, p. 113-114). This Proclamation made slave raiding a capital offense. It also imposed strict liability on local authorities in which governors, chiefs and headmen would be liable to a steep fine for every slave stolen from their area. In addition, this Proclamation stated that every slave taken from his country would be eligible for a warrant of freedom and would maintain the right to return home. This was followed by another law in March 1924, which was amended in July 1931, in which the Emperor sought to gradually emancipate slaves in the country and abolish slavery (the Emancipation Law). Many of the provisions in this law were not new. For instance, provisions on emancipation of slaves who had become clerics, who had fought in wars or who had saved their masters’ lives were already part of existing laws (The Fatha Nagast, 177). However, the lack of effective control of the central government in many parts of the country, and the fact that people in places of authority including judges and village chiefs were also slave owners, had made the enforcement of existing laws impossible. The Emancipation Law sought to remedy that by putting in place strict enforcement mechanisms. To that end it introduced a mandate for the registration of all slaves and the establishment of special slavery courts that would be subject to supervision of central government inspectors. Fifty-six special judges were appointed in different parts of the country and a department whose main function was to supervise the proper implementation of laws was established in the capital, a sign of the Emperor’s determination to ensure the effective enforcement of his laws (Goadby, p. 180, 202). The Emancipation Law also included provisions that made it easy for slaves to seek emancipation immediately. It did this in part by stacking procedural hurdles against slave owners. For instance, it provided that if a slave escaped, he/she could only be legally captured by their master or by authorized customs officials at the border. If a master failed to claim a runaway slave captured by authorized officials within eight days, the slave would be emancipated. If a master captured a runaway slave, he/she could not take the slave back directly; rather he/she had to go through a court process where an inquiry would be made as to the reasons that led the slave to attempt escape. In addition, it gave slaves legal standing to sue their masters for maltreatment. If it was found that a master had indeed mistreated his/her slave, the master would get one warning; a finding of a second offense would result in the emancipation of the slave (Pankhurst, 1968, p. 114). More notable were, however, the three provisions in the Emancipation Law that sought to gradually abolish slavery within one generation. One of these provisions banned the transfer of slaves from one person to another including among relatives. Another mandated that slaves be emancipated within a year after the death of their master. Although the initial language of the Law allowed for slaves to be inherited for a maximum of seven years after the death of their master, this was eliminated by the 1931 amendment leaving only one year as a transition period before a slave whose master had died could be freed. Finally, the law mandated that all children born to slaves, who in the past automatically became slaves, were free. The law also included provisions on welfare of emancipated slaves. It extended to emancipated slaves a seven year tax holiday, an attempt designed to give freed slaves the opportunity to get on their feet. It also gave emancipated slaves the right to education and the right to work including the rights to join the military and the civil service. All these reforms were apparently not enough to prevent Italy from using the issue as one of its justifications for its second Ethiopian invasion in 1935. 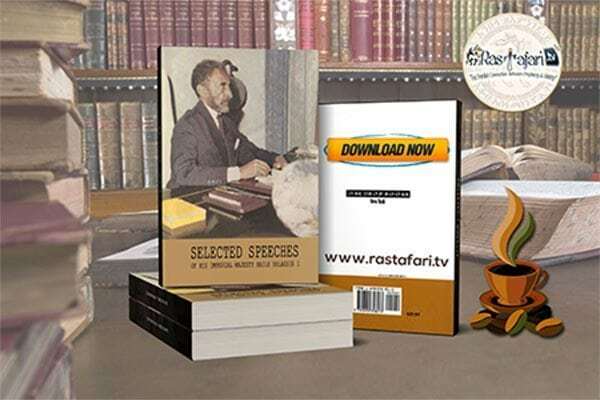 The issue proved a reliable propaganda tool to convince the world that Ethiopia was indeed not a “civilized nation” and therefore did not deserve to be treated like one. It did not help its case that Ethiopia had not abolished slavery twelve years into its membership in the League, two years past the agreed term. Italy invaded Ethiopia in October 1935 and issued two laws in October 1935 and in April 1936 emancipating slaves in the country (Encyclopaedia Aethiopica, p. 681). According to Italy’s accounts, during its brief occupation of Ethiopia, it freed 420,000 slaves. After Italy’s defeat in World War II and his return from exile in Britain, Emperor Haile Selassie changed gears and abandoned his plan to phase out slavery over an extended period of time in favor of one that resembled Italy’s, immediate and complete abrogation. 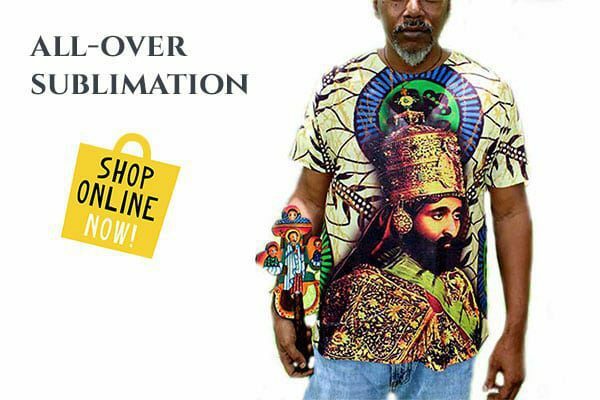 It seems that the lack of any significant backlash from the passage of laws against slavery by Italy during its brief occupation of Ethiopia had convinced Haile Selassie that his fear of possible negative impact that may result from an immediate abolition was unfounded. The Emperor, therefore, issued the Slavery (Abolition) Proclamation No. 22 of 1942 in August of that year. 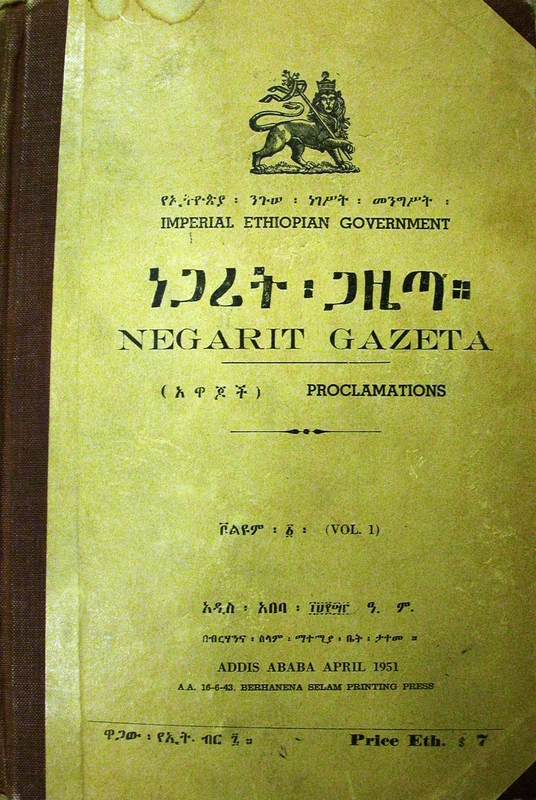 The 1942 Proclamation declared that “the legal status of slavery is abolished” and imposed harsh penalty on persons who: participated in transporting of a persons out of Ethiopia so that they could be sold as slaves; participated in slave dealing; prevented slaves from asserting their freedom; or participated in the pawning of people. The 1942 Proclamation was later replaced by the Penal Code No. 158 of 1957, which was then repealed by the law currently in force, The Criminal Code of the Federal Democratic Republic of Ethiopia No. 414 of 2004, both of which include a provision banning slavery and imposing harsh penalties for its violation.